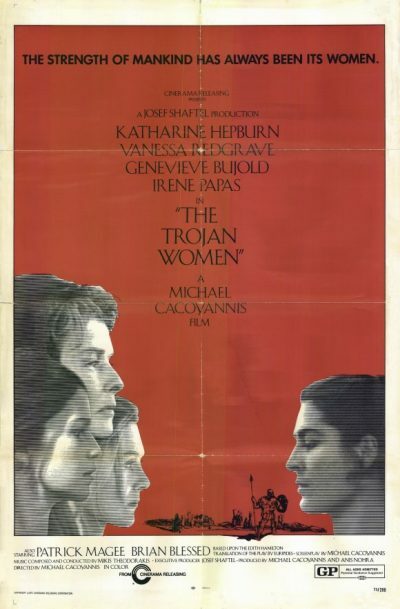 Hecuba and the other women of Troy rise to find their city in ruins and their cause lost. The city has fallen into Greek hands and it is likely their lot to become slaves of Greek soldiers. A messenger approaches to inform them that the lots have been drawn and each woman will be taken to the man who drew for her. Of particular interest is Hecuba’s daughter, Cassandra, who is chosen for the Greek kings bedchamber. She has received word of this news already and is in hiding because she has sworn an oath to the gods that she will live as a virgin. When she is found she has some particularly nasty things to say about treatment at Greek hands.